The rent roll report shows the existing revenue generated for a commercial real property and a critical component in determining the valuation an income producing asset. 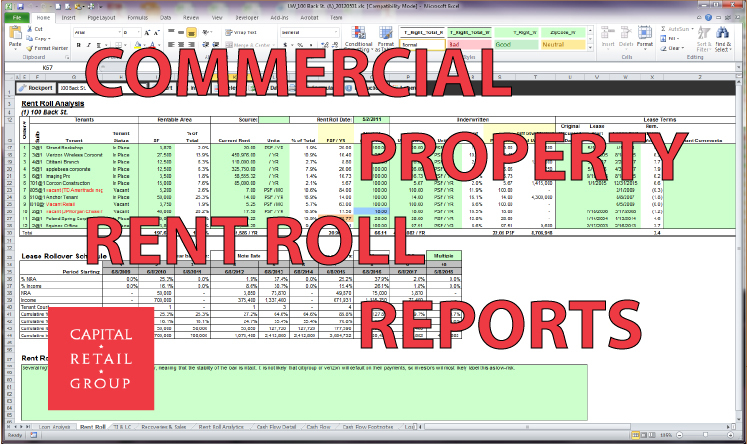 Many owners and lenders will first use the rent roll report to calculate the price of a property. The rent roll reports the amount of income an investor or owner can anticipate for a given period, usually done each month. The best rent roll reports concisely show the tenant name and location within the property, base rent and pass through charges, total rent due, amount and date of last payment, lease expiration date, and any current outstanding balance. 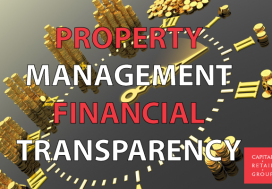 Property managers must be able to produce accurate rent roll reports and distribute to the applicable property stakeholders including owners, lenders as needed. Also, if an owner wants to try and reduce property taxes by appealing the local government’s assessment, they will most likely need to produce a rent roll report as many government taxing agencies require a certified rent roll as part of any second level appeal. For property managers, the rent roll report is also often used to calculate the property management fee that is due from the previous month. To have an accurate rent roll report it’s important to regularly review the tenant’s lease to verify the rental income shown on the rent roll is the same as in the tenant’s lease at that specific time. Common mistakes include missed annual rental increases and inaccurate common area maintenance charges(CAM) which are most often attributed to a lack of or inaccurate CAM reconciliation.